The Criss Cross Cable Cap features a single cable twist. 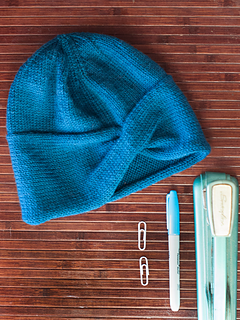 The brim is long and generous to wrap over your ears on the chilliest of days. This unique hat design is knit flat for the brim and then picked up and worked in the round for the crown. 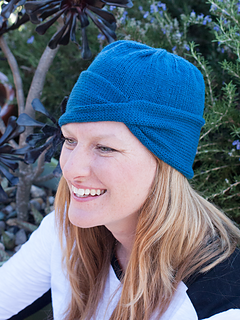 The Criss Cross Cable Cap uses just one ball of Ewe So Sporty yarn for the smaller sizes and two for the largest size. Make one today!